All rayon items are hand washable. Get the look and feel of silk without the trips to the dry cleaner! 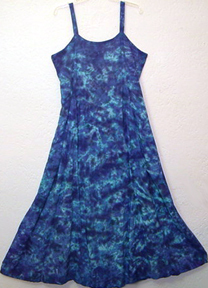 The rayon takes the dye beautifully and is a very soft and airy feeling fabric. The photos don't do these items justice, they're much prettier in real life. here current, but occasionally an item may be sold before it's removed from the site.